With the pause feature, you can temporarily stop the stream of water, making filling a pot or coffee machine easy with less mess. 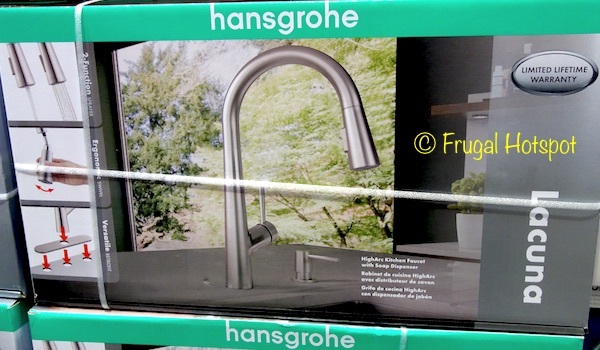 Select Costco locations have the Hansgrohe Lacuna Pull Down Kitchen Faucet on sale for $149.99 (after instant savings), now through April 14, 2019. That is $50 off Costco’s regular price of $199.99. While supplies last. Price and participation may vary by location. Item #1248417. 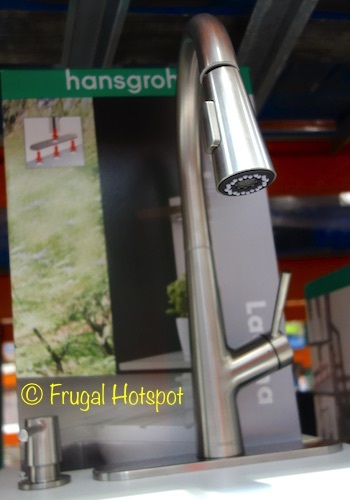 • The Lacuna kitchen faucet includes a 10-inch baseplate. If you previously had a 3-hole faucet installed, use this baseplate to cover any empty holes. • 2-Function sprayhead offers an aerated full saturating spray provides a richer, more saturating spray while the needle spray provides more pressure for those tough to rinse areas.